Back on the 9th of February 2013, Tom Wright and James White discussed / debated the issue of justification in the writings of St Paul on the Unbelievable? Radio show, hosted by Justin Brierley. The discussion was titled What did St Paul Really Say? Thanks to the efforts of my friend Roy Soliman who transcribed this, the transcript of that discussion is now available here at Right Reason. The transcript is in the articles section. And you can listen to the episode over at Unbelievable? 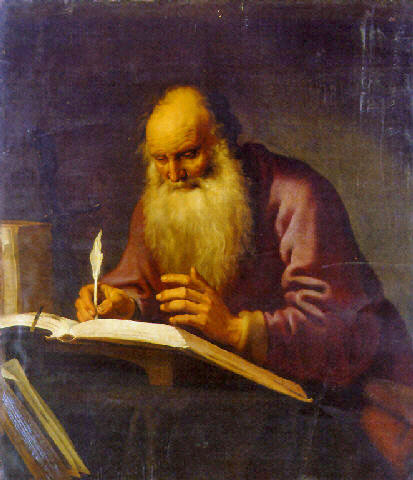 How did St Paul read the creation story? There are a couple of ways of reading the two creation stories in the early chapters of the book of Genesis. Actually there are probably quite a few ways, but I’m interested in two ways just now. I’ll call these two ways the “literal” way and the “didactic” way, as one of these ways treats the creation stories as primarily serving the function of recounting literal history just like modern historians do, and the other way treats the main function of the creation stories as teaching truths about God, God’s relationship to human beings and our place in the world, using the story as a medium of doing so.